Awarded to Piper Glen in 2008. For 47 years, people have trusted Consumers Digest magazine to identify outstanding values in a complex and often confusing marketplace. PoolandSpa.com has represented the Best Of Class Awards every year since 1998. The award signifies superior products and/or customer service in the pool & spa industry. Various sources of information were gathered and analyzed to choose the winners in each category. This years’ Awards were based on a combination of factors including product inspections and phone interviews, as well as very detailed consumer input through the use of a third-party consumer survey company. Over 5000 consumers were polled throughout 2009 to the present. 2014 Best Buy Award – Awarded to Platinum Elite’s – Dove Canyon, Island Spa’s Antigua 33 and South Sea’s 518 P model. In order to gain approved status, importers and distributors must display proof that they have the following credentials and infrastructure: CE Marking on all models offered for sale in the UK, current BISHTA membership, a mandatory technical training program for all third-party retailers who will be responsible for after-sales technical support to consumers, and a warranty system that is underwritten by the manufacturer and/or importer to protect customers in the event that a retailer ceases to trade or discontinues spas and hot tubs from their product offering. Artesian Spas has been accredited by the Better Business Bureau since 2011 and is rated an A+ company by the BBB. The Association of Pool & Spa Professionals (APSP) is the world’s largest international trade association representing the swimming pool and spa industry. APSP’s mission is ensuring consumer safety and enhancing the business success of its members. Members adhere to a code of business ethics and share a commitment to public health and safety in the use of pools and spas. The standards and training set by our association are arguably the best in the world. So, when you make your purchase, buy with confidence from a BISHTA member. Manufacturing plant located in the United States. Spas are proudly built in the USA for the world. The SGS GS mark (Geprüfte Sicherheit = tested safety) granted by SGS is a well-known and respected voluntary impartial certification mark indicating the GS safety standard and quality of a product. The SGS GS mark verifies to the consumer that the product is tested and certified according to the German Act GPSG (Geräte- und Produktisicherheitgesetz = Equipment and Product Safety Act). This ETL mark indicates that the product has been tested and has met the minimum requirements of a widely recognized (consensus) U.S. product safety standard, that the manufacturing site has been audited, and that the applicant has agreed to a program of periodic factory follow-up inspections to verify continued conformance. 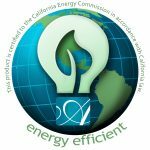 Artesian Spas has certified this product to the California Energy Commission in accordance with California law.